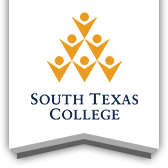 The Bachelor’s Degree in Organizational Leadership, the first competency-based bachelor's degree from a Texas public institution, helps you develop vital skills for today’s workplace. By receiving college credit for courses you’ve already taken and skills you’ve developed through your work and life, you can move through the curriculum faster than you would with a traditional degree. This degree focuses on skills that will help prepare you for a position of leadership in business, government, non-profit, or educational organizations. It’s a degree that can open doors to new opportunities. The organizational leadership curriculum is offered year-round in six seven-week terms. The first 90 hours of instruction are available through online modules and the last 30 hours are a combination of face-to-face and online. This degree is a personalized program with academic coaches and tutors who advise and mentor students. The upper division courses enable you to solve real-world business problems and demonstrate new skills through a final project that will be part of your portfolio for future opportunities. This type of personal attention helps students succeed and be ready to take on more challenges in today’s workplace. Tuition for the organizational leadership degree is $750 per term. Students are able to accelerate through as many courses per term as possible, provided they demonstrate mastery of the subjects. A student entering the program with no prior college credit should be able to complete the degree in three years at a significantly reduced cost. This program has additional requirements that must be met prior to completion.